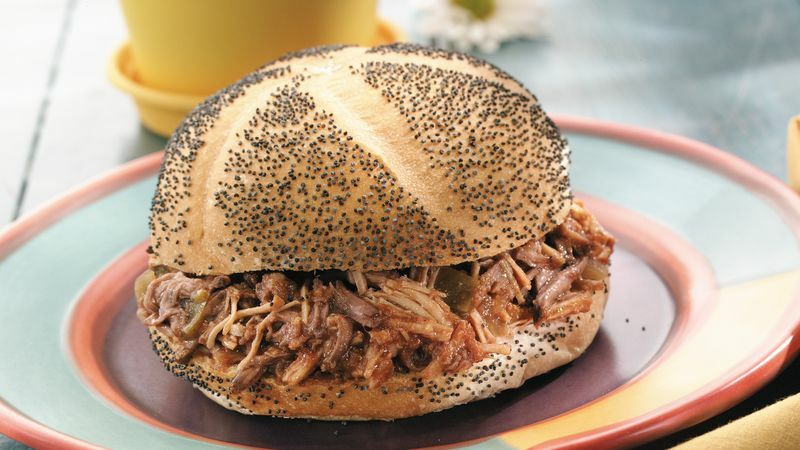 In 3 1/2 to 4-quart slow cooker, combine all ingredients except tomato paste and buns. With slotted spoon, remove meat from slow cooker. Shred meat with 2 forks; return to slow cooker. Stir in tomato paste. Cover; cook on high setting for 5 to 10 minutes or until hot. To serve, spoon about 1/2 cup mixture into each bun.